Rosslyn McHenery has a Bachelor of Arts with a major in History and Education and a Graduate Diploma in Education (Primary). She has worked as a classroom teacher for twelve years from Kindergarten to Year Six in Australia and for a year in the United Kingdom. Throughout her career she has tutored students at all levels of Literacy and tutored Numeracy to Year Six. Rosslyn has a particular interest in raising Literacy standards in young people and enjoys imparting her passion for reading and writing to her students. 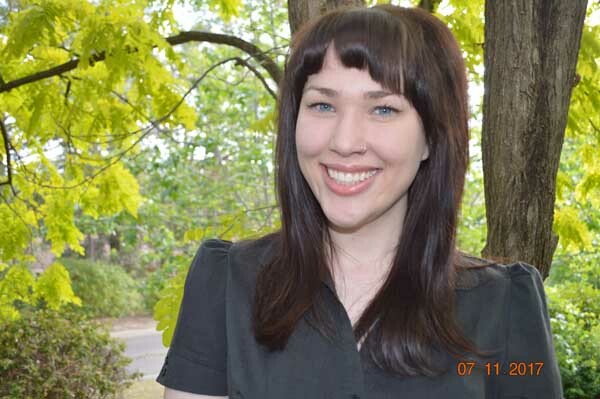 More recently she completed a three year contract with the Department of Education as a Literacy Support Teacher working with at risk Secondary Students before leaving to concentrate on her passion; the development of Nepean Tutoring. Rosslyn is well regarded for her expertise in essay writing. She is available to assist students from Secondary to Tertiary level studies with learning “the art of essay writing that gets results.” Proof reading and editing essays is another service she offers to her students. Rosslyn lives the beautiful Blue Mountains suburb of Springwood and tutors in the Lower Mountains areas of Glenbrook, Blaxland and Springwood and the Great Penrith Areas including Emu Plains and Leonay. Jelena Giles finished a degree of Bachelor of Medical Science and a Masters of Teaching in Secondary Education majoring in Biology, Chemistry and Senior Science. She has an extensive background in science and has previously worked as a Molecular Genetics Scientific officer for Laverty Pathology. She is a qualified teacher and has had experience working with a variety of ages, from tutoring primary students in science, maths and English. This also includes teaching and tutoring science to students in year 7 -10. She also had experience in teaching HSC students in biology. Jelena’s teaching experience extends to tutoring students in preparation for the Selective School test, university entry STAT test and the ADF entry test. Her passion for teaching and her love for children have been her drive and reason for taking on tutoring. She takes great pride in building a report with her students and finding methods of teaching that suits their style of learning. She is familiar with the current syllabus and is very willing to help any student to the best of her ability. She can also speak a few languages; English, Serbian, Croatian and Bosnian. Jelena is available to tutor at her Emu Plains home and has limited vacancies for in home tutoring in the Penrith to Blaxland areas. Kristie is our administrative assistant who comes to us with ten years experience in the travel industry in both sales support and event coordination. Her highly developed organisation skills places her in a support role to the Principal and Administration Director. She manages the day to day schedules of tutors and welcomes all new tutors and clients to tutoring via the Welcome Packs they receive. Kristie’s role is intrinsically linked to the operation of the Tutor Cruncher platform which is the administrative arm of Nepean Tutoring. She brings highly accomplished technology skills to her work and is valued for her self directed management of staff issues. Madison Hughes is in the final semester of his combined Bachelor of Science and Arts at University of Sydney. His majors are Biology, Italian Studies, Spanish and Latin American Studies. Madison focuses on HSC Biology, Spanish and Italian (both languages from Beginners to Extension), however, he is also happy to take on students from primary/junior high school in the areas of Mathematics and English. After having done some volunteering in teaching English in primary schools in Costa Rica and Mexico during the past year, Madison has been inspired to further his passion for teaching, improving his experience as a tutor. He is very friendly and enthusiastic about teaching in subjects he loves. Through this, he wants to help inspire in his students a love of learning and improvement through encouragement and tailoring to each students’ needs. Lynette Saad has had over 20 years experience in Primary Teaching. She has experience in teaching all years, from Kindergarten through to Year 6. 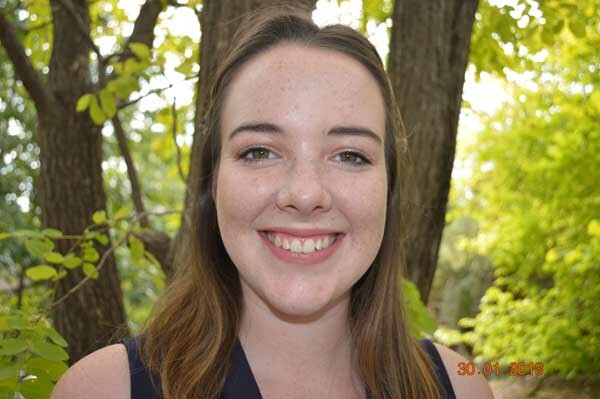 She is currently working in a local school in the Nepean area, teaching Kindergarten and years 5 and 6. Lynette has a passion for fostering confidence and a love of learning in students. She has extensive experience in building relationships with both parents and students alike and has worked as a School Chaplain in recent years. Nursah Goker is currently studying a teaching degree and through her role as a tutor aims to focus on nurturing children to reach their personal aspirations as learners. One of her prime objectives is to empower students to reach their potential and create positive changes within their own lives. Developing a “I can do this” mindset and improving confidence levels are qualities she aspires to reach with her students. While she is still studying in her chosen own field, Nursah brings an enthusiastic approach to teaching and tutoring. She is a self motivated tutor who believes strongly in the need to meet the individual needs of her students both academically and emotionally. Nursah brings a very bubbly personality to her work and is a great communicator who strives to improve her craft by maintaining a high level of professional development through her studies at university and personal reading. She believes that her work as a tutor reflects directly back to her own dedication toward her work and therefore maintains a strong work ethic. Nursah live in the Penrith area and tutors through the Greater Penrith region and Lower Mountains. Hayley is currently studying a combined Arts and Education degree at the University of Sydney. She chooses to tutor students as she has a desire to see children gain confidence in their abilities and to build relationships with her students by being a teacher, role model and mentor. Hayley is passionate about English related subjects and enjoys assisting students to realise their potential in this often challenging subject, particularly writing. 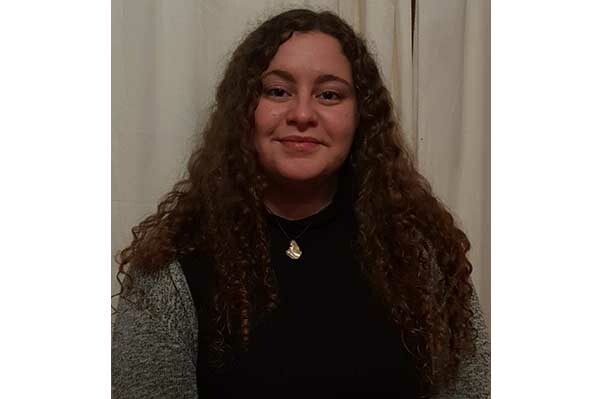 Hayley has a genuine passion for creative and essay writing as well as analysing texts and enjoys sharing her love for English with students in order for them to succeed and learn to enjoy English as a subject. Her own writing skills have allowed her to excel in the HSC both in Advanced and Extension English and she strives to pass this enthusiasm and knowledge for study skills and habits to her students. Hayley lives in the Mid Mountains and tutors in the Lower to Upper Mountains, The Hawkesbury and Penrith areas. Paul Geier comes to us with over ten years experience in tutoring students from upper primary grades to first year University Mathematics. Engineering Science, Physics, Junior & Senior Mathematics, including general Mathematics subjects, is covered by Paul’s expertise. 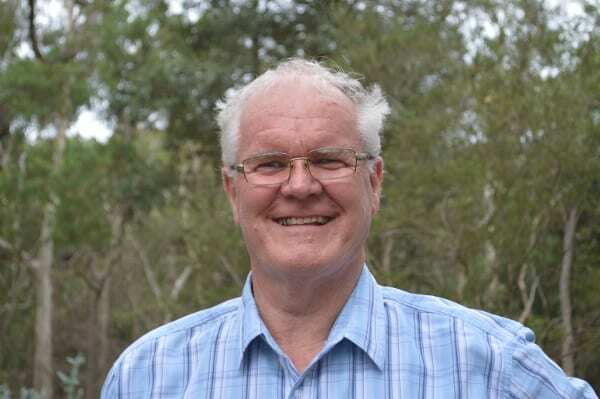 Paul teaches and Lectures at Nirimba TAFE & the University of Western Sydney, Penrith Campus, covering all subjects in Building & Construction and Engineering subjects and is therefore equipped to tutor students in these areas as well. He is able to explain concepts clearly and logically and uses a variety of innovative strategies to inspire students to enjoy Mathematics and to improve their problem solving skills. Paul lives in the lovely Mid Mountains area of Hazelbrook and is available to tutor students as far as the Greater Penrith area including St Marys. 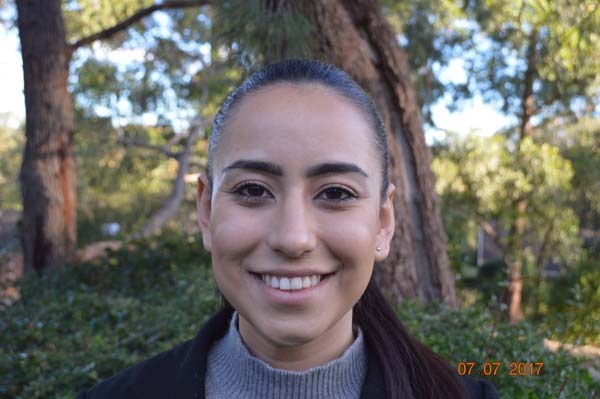 Asha Vassiliadis currently studying a Bachelor of Arts majoring in Primary Education and a Bachelor or Education (Primary) at Macquarie University. She has a passion for working alongside each child as they grow through their education by supporting them in all their achievements. She has many years of teaching experience in classrooms as a teachers assistant and draws on a large variety of resources and strategies to meet children’s individual learning needs. Asha believes that academic improvement comes when students find joy in learning through their own motivation. By gaining a strong relationship with each student and learning their likes and dislikes, she hopes to understand how they learn best and the areas of learning in which they struggle. Asha looks forward to every tutoring session as each one comes with a new experience for the student to learn and grow. 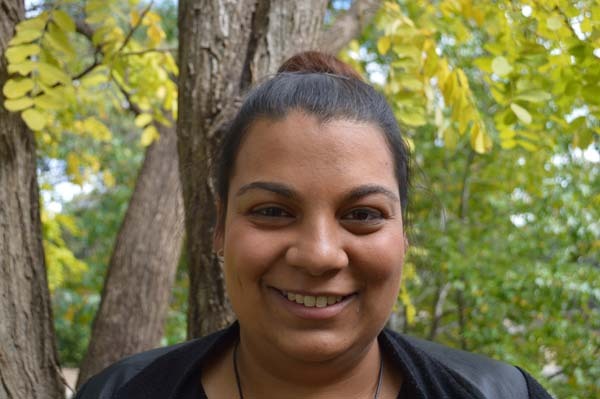 Asha currently lives in Cranebrook and tutors in the Cranebrook, Penrith and Richmond area as well as the lower Mountains. 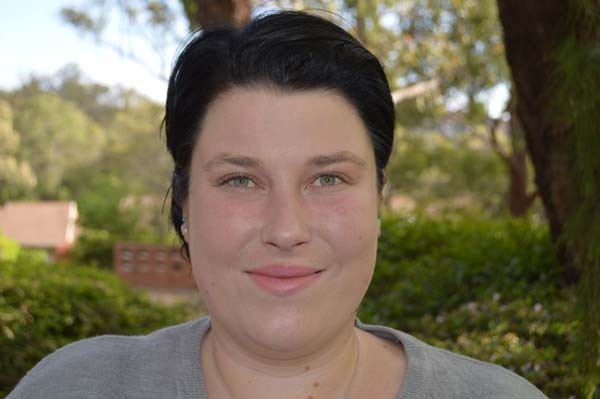 Jennifer Carlin has completed a Bachelor of Health Sciences with a major in Speech and Hearing and is currently in her second year of a Masters of Speech Language Pathology degree at Sydney University. Jennifer attended Penrith Selective High School and as such understands the standards required to achieve success. Jennifer focuses primarily on high school English and is passionate in this area. She also loves teaching in all areas of primary school education. She is enthusiastic and creates a wonderful rapport with her clients which encourages their learning. 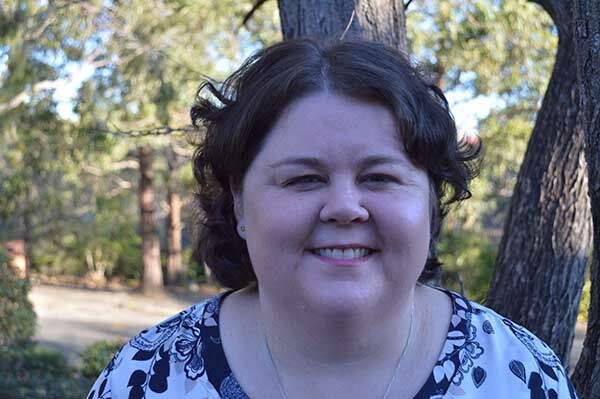 Jennifer lives in Blaxland and tutors in the Lower Blue Mountains and Greater Penrith area. Reena Mukherjee is a local HSC graduate with a passion for all things literature and creative writing. As an Extension 2 English student and professional writer/blogger, she believes that the art of tutoring is founded upon respect, creativity and open two-way communication between tutor and student. Having been involved in a variety of extra-curricular activities, from writing to fencing, she strives to help her students to find a connection with their local community and school, and to immerse themselves in the education that is all around them. Reena has been a student leader and mentor to younger students during her high school years where she quickly found that she loved the the confidence, joy and self esteem that students were able to find as they became better writers and saw their grades improve. 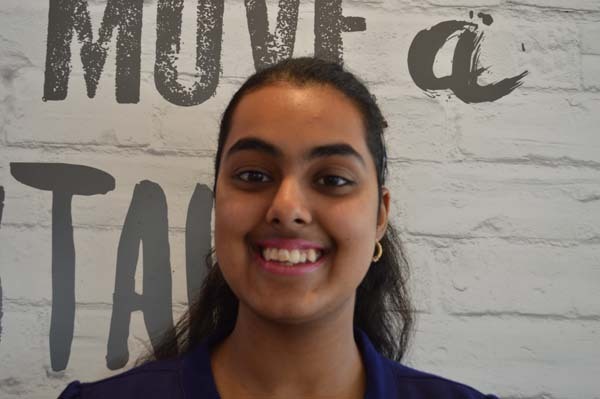 Reena began tutoring whilst completing her HSC and tutors across a range of subject areas and is particularly gifted at encouraging students to become passionate writers. Reena tutors at the Penrith Library and is also writes blogs for the Nepean Tutoring website. Tamara Johns is studying to be a Primary Teacher at Western Sydney University with a major in English and a sub-major in Psychology. Tamara’s favourite subject is English which she tutors along with Mathematics from Primary school grades up to Year Ten Secondary studies. She enjoys reading, story-writing and planning her tutoring lessons. Tamara likes assisting people to enjoy learning because she finds it rewarding in and of itself. She listens and reflects with the students on their work and sets up a plan to make the learning is motivational and interesting. She also likes keep contact with the student’s teachers to make the tutoring more relevant, focused and beneficial for the student whilst keeping up to date with the areas that her students needs improvement on as well as further consolidating the areas in which they have improved. Tamara uses multiple methods when tutoring and has developed particular methodologies using games and other multi sensory learning methods to ensure her lessons are a positive experience for her students by acknowledging their learning styles. Tamara also sets up a time-management plan for the Secondary students to help her them stay ahead in manageable blocks. She lives in the St Clair area and tutors from Mount Druitt and throughout the Greater Penrith districts. Joshua Williams completed a Bachelor of Health Sciences and a Masters of Teaching in Secondary Education majoring in Pd/H/Pe in 2012.He is a qualified teacher who currently works fulltime at a high school in the Hills District and has experience working with a variety of ages, ranging from stage 3 to stage 6. In addition to his main teaching area of Pd/H/Pe, he has worked within the Mathematics faculty for the past year and is currently studying additional units at University to allow him to teach Mathematics permanently in public schools. Josh’s passion for education and interaction with young learners has been the drive for taking up the challenge of tutoring. He is quick to build a rapport with his students and prides himself on taking that extra step to help his students achieve their learning goals. Melissa Lord works for the Department of Education, and has taught students with learning difficulties requiring additional support and specialised programs, children with EAL (English as Another Language) needs, G & T (gifted and talented) students, and facilitated transition programs (preschool/kindergarten, primary/high school, mainstream/support class). 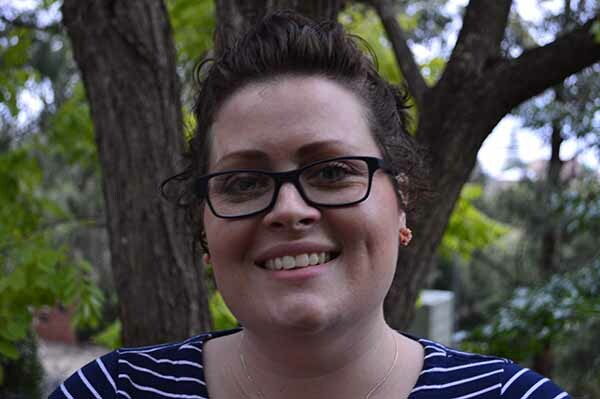 Melissa has tutored students from K-9 over a number of years and enjoys working closely with students, and their families, to determine the areas that need addressing, and designing engaging and individualised lessons to assist in filling academic gaps. 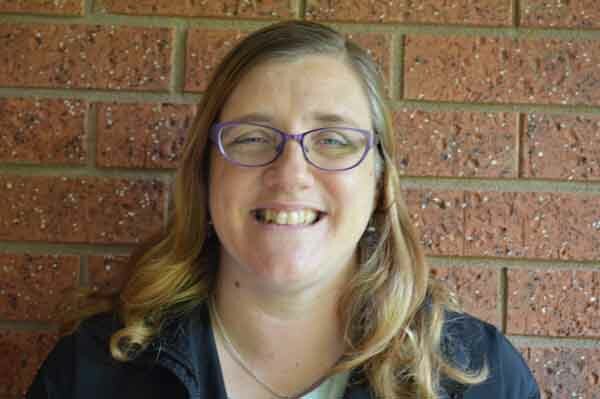 Melissa lives in Werrington and tutors in the Greater Penrith area, from Emu Heights to St Marys. Kayla is an enthusiastic and experienced tutor who is highly motivated, reliable and organised. Her main goal in life is to work toward a teaching career in order to give each child she tutors an opportunity to do their best. 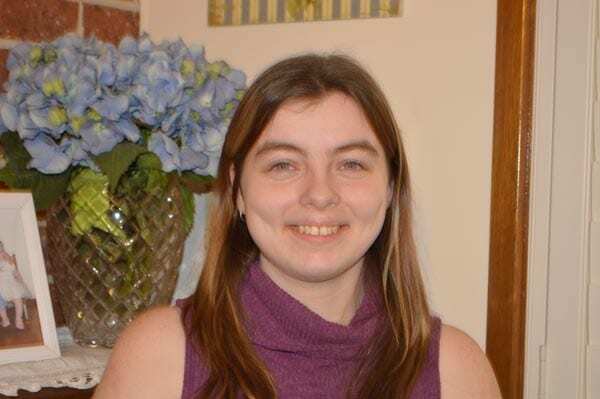 Kayla is very approachable and able to connect with her students and clients with confidence in her role as a tutor. 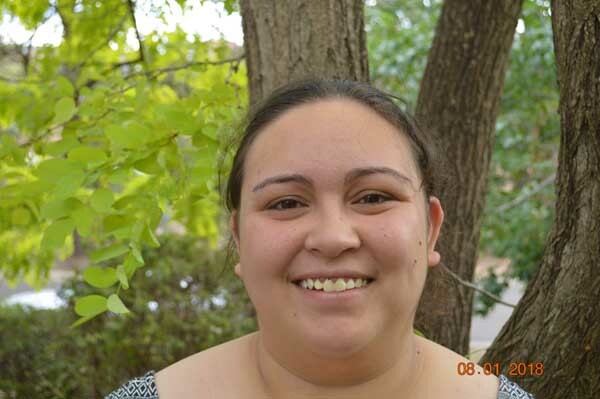 She has worked in the role as a teacher’s aide across both Infants and Primary grades. This role has enabled her to learn to be flexible and creative with each student as she learned how each student has a their own learning style and needs. Kayla has a heart for her role as a tutor and expresses a desire to mentor students to love learning and be proud of their achievements. 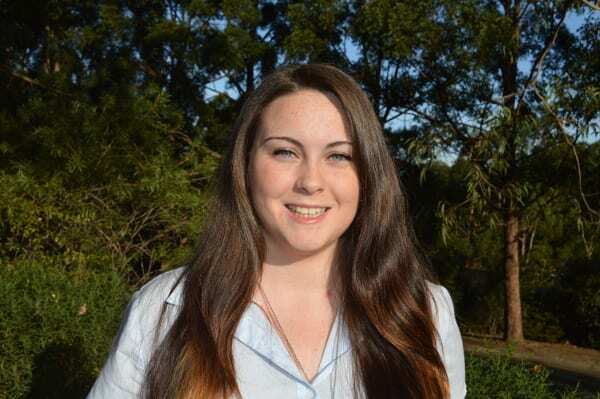 Kayla lives in the Penrith area and tutors in Penrith, St Marys, Mount Druitt and Lower Mountains areas. Ian lives in the Lower Mountains and tutors in he Lower Mountains and Greater Penrith regions. 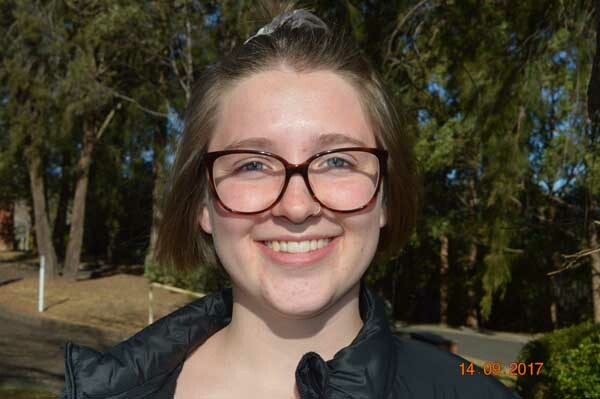 Bronte Cattell is currently studying at the University of Sydney and is undertaking a Bachelor of Psychology, majoring in Sociology. 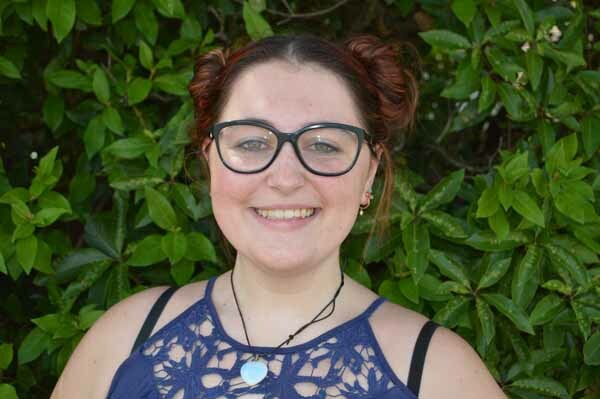 This choice of study is due to her passion for helping people and she aims to seek a career in which she can empower individuals to facilitate positive change within their own lives. She began English tutoring in 2015 where she initially worked with students in Years one to four and has subsequently worked with students from Kindergarten to Year eleven in the areas of Mathematics and English at a tutor centre. More recently she has worked at a Senior Secondary School assisting ESL students with their HSC studies. Bronte seeks to ensure all her students develop a love for learning through gentle encouragement and her ability to mentor young people via her own successes. She has a particular love for teaching HSC English from Standard to Extention One courses with a focus on creative writing. Bronte live in the Penrith area and tutors in the Lower Mountains, Emu Plains and Penrith. Maree Browning is a qualified Child Care Worker and has worked with children aged birth to 18 years for nine years in a variety of settings including long daycare, youth centres and privately as a Nanny and tutor. Maree spends time working in partnership with families and children to develop fun and age appropriate programs to aid with their developmental milestones and learning. Maree has also worked with adults who had cognitive challenges where she focused on developing their skills in Literacy as well as understanding varying concepts related to their studies in general. As an accomplished circus performer, and now an instructor, Maree brings a lovely diversity to the business. Her skills as a circus instructor have provided her with different approaches to teach students with varying teaching and learning styles, thus she has an understanding for the learner as a unique individual. Maree lives in Fauconbridge and tutors in the Lower Mountains and Emu Plains areas. Anne Cuthill is a teacher with a background in Early Childhood, and who spent the first 17 years of her career working in schools from Kindergarten to Year 6. She is passionate about Literacy (especially Children’s Literature) which she believes is the key to learning. Anne knows that if there is a strong background in the basics of spelling, reading, writing, punctuation, and grammar the child is freed up to learn anything, anytime, and can put that knowledge to effective use. Anne has also worked as an Early Childhood Educator with a programme based around Literacy. Anne is married with two children (both teenagers) whom she educates at home via Distance Education. She lives in the Penrith area, and tutors anywhere in the Penrith District and Lower Mountains. Emily Peace is 27 years old and holds a Bachelor of Music (Contemporary Performance) from the Australian Institute of Music. As of 2018, Emily began her Masters of Teaching (Secondary Music & Legal Studies) and is due to complete this degree at the end of 2019. She has varied interests, ranging from the Creative Arts (Music and Photography) through to English and History based pursuits, including genealogy and reading just about anything. Emily was that child who used to read encyclopedias just for fun! Upon the completion of her education degree, Emily will become a fourth generation teacher within her family! Emily is reliable, easy going and loves sharing her passion for learning with others. She believes that building confidence is the key to effective learning and wishes to instill that in her students. Learning shouldn’t have to be boring and Emily is always finding new ways to engage her students in order to achieve results they can be proud of. Martin Scott is currently working on his PHD in the area of Biomedical Science at the University of Technology Sydney. He is an experienced tutor who offers a broad understanding for the different ways students learn and approach their studies. He believes that the ability to gain a confident understanding for concepts is at the heart of tutoring. This is achieved by the way Martin breaks concepts down into manageable areas of understanding. Martin believes that building a positive rapport with his students is the first step to successful tutoring. He is a very patient tutor who enjoys seeing students improve, to enjoy learning and to fulfill their potential. Martin lives in the Lower Mountains and tutors in Penrith and the Lower and Mid Mountains. With over five years’ experience as a Youth Worker, Roger has a passion for helping young people gain the confidence and agency they need in life. Whatever level someone is on, he believes they can become a confident and capable learner. He tutors from a foundational approach to learning – focusing on the fundamentals and exploring a number of ways to understand them. Currently studying a Masters Of Teaching in order to become a Mathematics and Geography teacher, Roger loves looking at almost any topic but specialises in Maths for Year 6 to Year 12. Roger lives in the Penrith Area and tutors in the greater Penrith Region and the Lower Mountains. 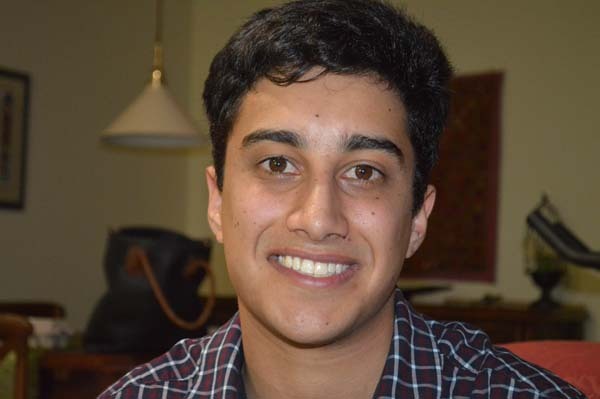 Sath is an Engineering/ Commerce student with the University of New South Wales. He is an experienced tutor, in both small group and one to one methods, who strives to make a difference to student’s learning by focusing on their positive progress and using this to encourage them to achieve their desired results in more challenging areas of the subject. He brings a bright and easy to understand approach to learning to enhance a student’s understanding of Mathematics and to help achieve greater results. 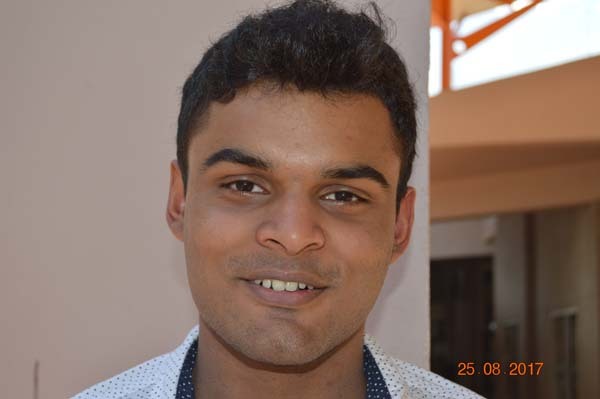 Sath had tutored from Primary to high level Senior Maths and brings a quiet confidence to his ability to understand student’s individual needs, set achievable goals and mentor them into a more independent approach to tackling previously difficult concepts. Sath lives in the Penrith area and can tutor in the Greater Penrith area and in the Lower Mountains and Hawkesbury regions. Societies and Culture, Essay Writing. Kate Campbell has completed a Bachelor of Arts, majoring in Modern History and is currently studying a Bachelor or Education, Secondary. Her subjects areas lie with English, History and Society and Culture. She approaches her role as a tutor with a deep understanding for instilling a positive approach to learning and a desire for students to reach achievable goals. Kate is a successful Roller Derby competitor and trainer and works at a management level in the administration of this sport. Her success in the Roller Derby community demonstrates her commitment to always work toward achieving your potential and dreams and she is keen to demonstrate this philosophy in teaching young students to believe in themselves and to achieve their best. Kate lives in the Upper Mountains with her partner and two cats and tutors from Penrith to the Upper Mountains. Kate began tutoring in 2016 and loves sharing her passion for learning with her students. She is enthusiastic about helping students to build their confidence in their studies. 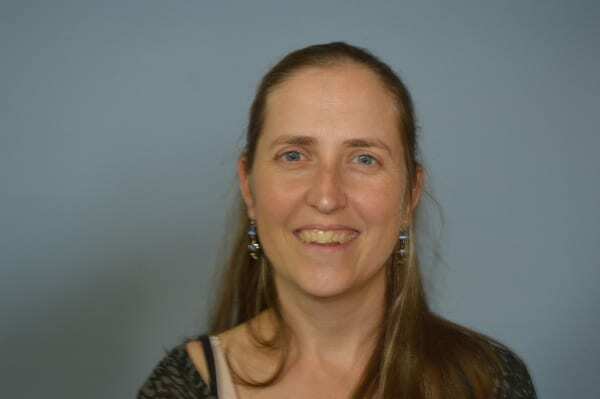 Kate tutors in HSC General Mathematics, PDHPE and both Standard and Advanced English. She is also happy to tutor primary and junior high school students in a range of subjects. 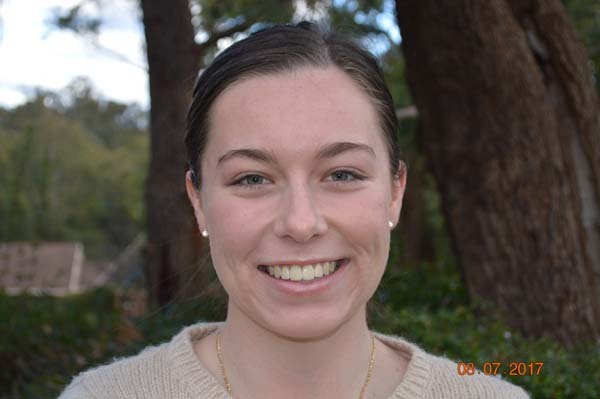 Kate completed a Bachelor of Exercise and Sport Science in 2018 and is now studying a Master of Nutrition and Dietetics at the University of Sydney. Kate lives in the Lower Mountains and tutors in the Lower Mountains and Penrith areas. Belinda is a diligent, hardworking and enthusiastic tutor. She is currently studying secondary education at the University of Notre Dame specialising in Mathematics and History. Even though studying secondary education, Belinda is more than capable to cater for the needs of primary school aged students for both Mathematics and Literacy. Belinda loves to see her students’ abilities improve as well as helping to reach her students’ goals. Studying education, Belinda knows how to accommodate for all learning abilities and the commitment this entails so her students can reach their full potential. Belinda lives in Bullaburra in the Blue Mountains and is available to tutor the Mid/Lower Mountains and Emu Plains area. 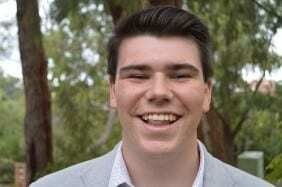 Christopher Peil is a distinction average, student at Western Sydney University, majoring in Electrical Engineering and sub-majoring in Biomedical Engineering. 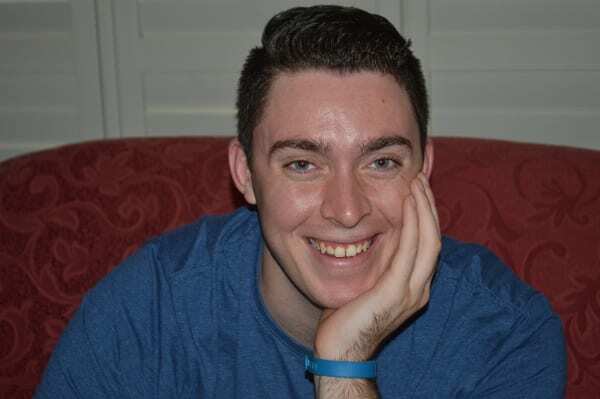 Chris possesses the ability to communicate well and has been involved with the Peer Assisted Study Sessions at university, to which he has gained his passion for teaching students individually to excel in their education. Whilst subjected to the hardships of misunderstanding and struggling with educational concepts as they were being taught in his years at school, he solely overcame educational hurdles to reach scholastic comprehension and appreciation. Subsequently, he is enthusiastic to be a source of assistance for other students experiencing similar academic obstacles. Chris is a firm believer of friendly positive reinforcement and learning from past mistakes. As a student engineer, he has developed an understanding that mistakes do not equate to failure, instead they serve as a stepping stone to improvement and future achievements. Thus, his teaching style applies these ideals to create a learning environment where students feel comfortable and have confidence within themselves to learn and excel without the fear of failure hindering their endeavors. Chris is available to tutor all students located within western suburbs of Sydney. Throughout her senior years in Secondary school Alana spent one to two hours weekly tutoring Years Eight and Year Nine Mathematics and English. This experience gave her valuable tools on how to focus on the fundamental topics of both subjects. 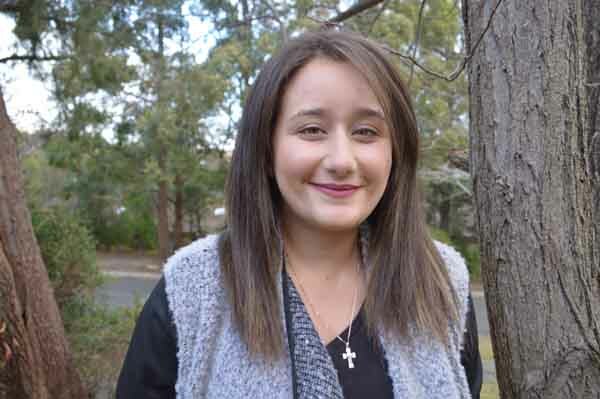 As a student at Western Sydney University, Alana was immersed in the Peer Assisted Study Session which involved providing academic assistance to her peers and classmates in order to mentor them in their studies. In this role, she focused mainly on Mathematics; a subject for which she is talented in and passionate about. 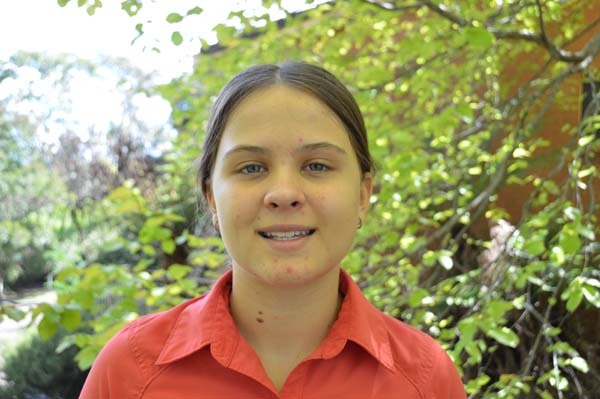 Alana is currently a High Distinction average student studying Electrical Engineering, with a sub-major in Biomedical Engineering, at Western Sydney University. She has continued to participate in to help her fellow students understand difficult content and excel in their studies. Due to her own success as a student she has developed the ability to break difficult concepts down to core components and communicate these in a simple and understandable manner. 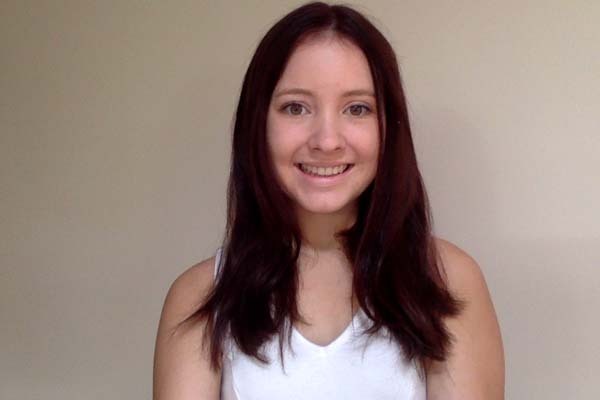 Alana lives in the St. Marys region and is available to tutor throughout Western Sydney. Rachel Day is studying a Bachelor in Medical Science, majoring in Medicinal Chemistry and submajoring in Microbiology. She strives to guide students to an understanding of fundamental concepts and how to implement effective study and motivational strategies with patience. She tutors from K-9, and upto first year tertiary students in Chemistry and Biology. 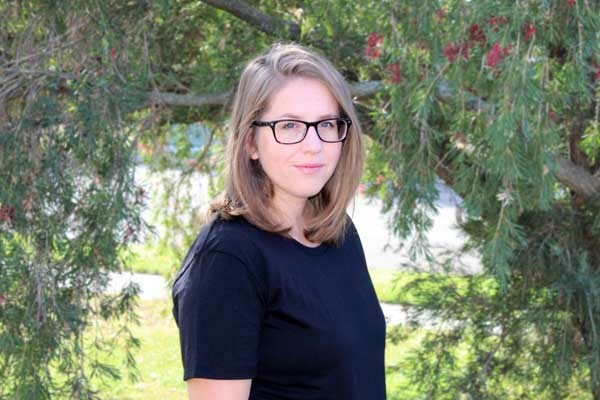 She thoroughly enjoys using a background of high school and university peer mentoring to provide effective communication and patience as a professional private tutor for the last eight months, undertaking a number of students over a variety of ages and subjects. 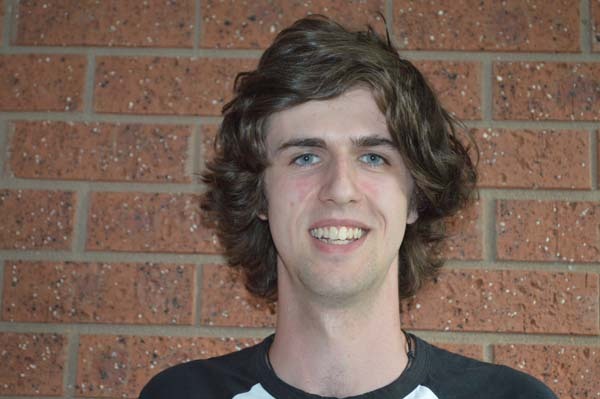 Lachlan Frew-Meyers is currently studying a Masters of Teaching majoring in History and sub-majoring in English. He is excited to help students learn to love all of their subjects which in turn will allow them to grow in their studies. 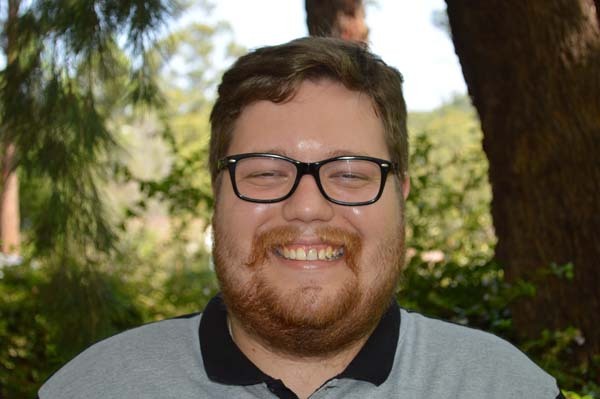 Lachlan has worked with children in at in a variety of settings ranging from birthday party hosting to volunteering as a youth group leader at church along with practicums during his university studies. 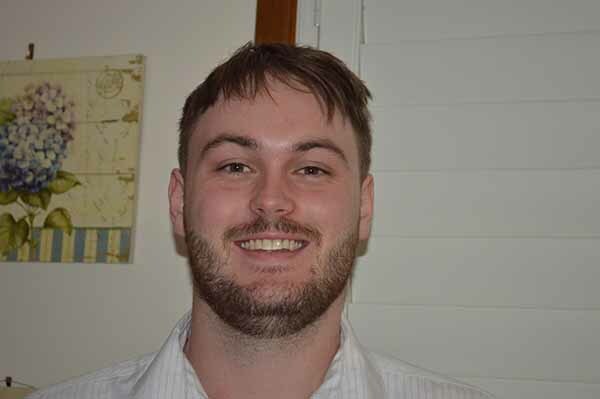 Having this vast range of experience Lachlan is able to draw on a variety of different resources and learning abilities to meet children’s individual learning needs and interests. Lachlan believes that academic improvement comes when a student finds joy in what they are learning. By building a strong relationship with each student and learning their likes and dislikes, Lachlan hopes to understand how they learn best and the areas of learning in which they struggle. Lachlan looks forward to every session as each one comes with new experience for the student to learn and grow. 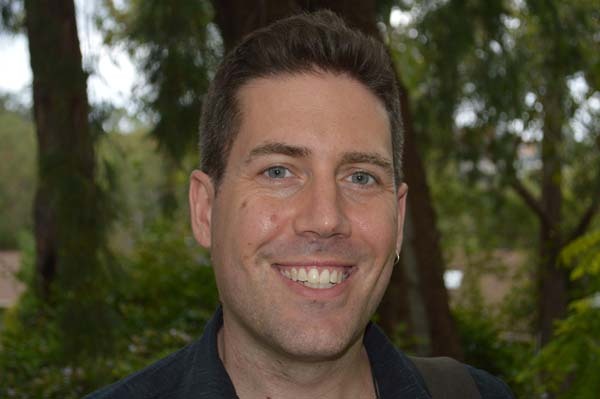 Lachlan currently lives in Penrith and tutors in the Penrith and Lower Mountains areas. My name is Danuta. I was born and educated in England, graduating from Cambridge University where I studied Modern and Medieval Languages. I have taught in Italy, Portugal and Poland, in England and in Australia. I tutor students who wish to improve in English, particularly HSC, but I also enjoy tutoring Maths up to and including year 10. I believe that each student is unique; each has their own way of learning and level of development, but each and every student is capable of learning. Unfortunately in today’s large classrooms the individual student’s needs may be overlooked. However, with one on one tutoring the student’s needs are more likely to be met; gaps in learning can be identified and addressed and the student can be guided to make meaningful connections between what he or she already knows and new information. For me there is no better satisfaction than when a student learns to make connections thus broadening their web of knowledge. I have been tutoring with Nepean Tutoring since 2012 and have found it a very rewarding experience. I have recently started tutoring on-line via Skype and Google Drive. On-line tutoring allows for greater flexibility and availability and has proved very successful with both young students and high-school students. Rosa Visciano brings a wealth of experience to her role as a tutor. She has over 30 years experience in the education industry, initially as a Primary School Teacher and has taught and tutored children from Primary to HSC levels. She has a particular interest in English Literacy, Essay Writing, the Language needs of children from bilingual-bicultural backgrounds, Art and Historical Studies. She is available to tutor in all Primary subjects and most subjects in Secondary School and Tertiary Education requiring Literacy support and essay writing. In addition, Rosa’s work extends to children and youth with learning and processing delays. She supports them by increasing their confidence to learn and their personal awareness of how they learn and provides them with strategies that best suit the student’s individual learning needs. In 2010 Rosa became a certified Master NLP (neuro-lingistic programming) practitioner and trainer. Over the last seven years she has specifically worked with children and youth to lessen problems in anxiety and depression working as a mentor and workshop facilitator. 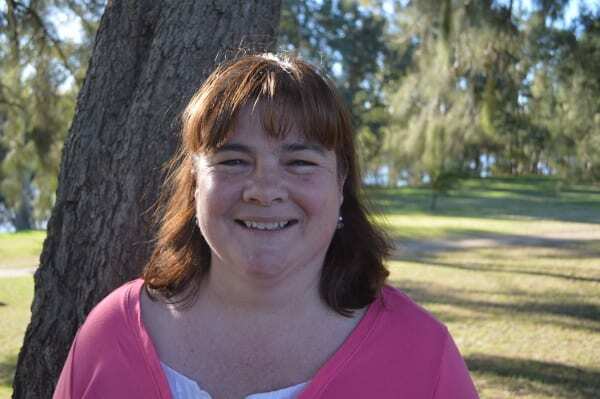 Rosa lives in the Hawkesbury area and teachers throughout the Hawkesbury, Greater Penrith areas and Lower Mountains. Sean is a published writer, composer and performer and holds a Bachelor of Social Science in nursing, and Bachelor of Music (Honours) in 2015. She is currently busy with her PhD in music and is currently working as a sessional academic at the School of Nursing and Midwifery, teaching bioscience and research subjects. 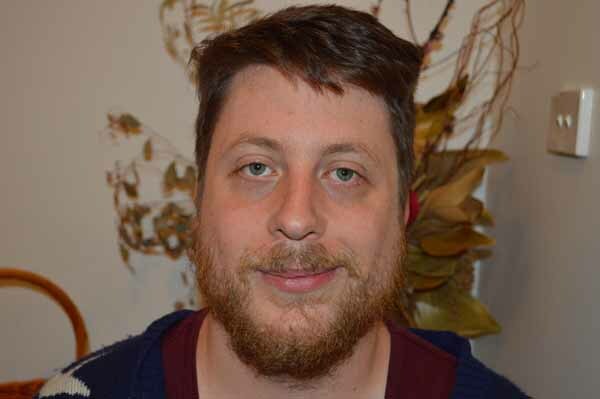 Sean has had articles published in Resonate magazine, Australian Poetry, Cutcommon and LOTL. She has a passion for 20th century music, musicology, and experimental music classical. She is passionate in helping others to become knowledgeable and skilled in their fields of study and is an approachable individual with a great amount of positive energy to share with others. Sean is particulary skilled in assisting students to improve their writing skills. Her approach to methodically assist students to move from reluctant writers to those who learn to enjoy this aspect of their learning has been a great testament to her skill as teacher/tutor in this learning areas. Sean lives in the Penrith area and tutors in Penrith and St Marys regions as well as the Lower Mountains. Rebecca Castor is a university student who is currently studying a Bachelor of Physiotherapy. She has always had a a passion for learning and is a wonderful role model for young people struggling to manage the demands of a challenging work load at school. She has privately tutored primary and high school students over the last 2 years and loves the joy that comes from a student mastering a new concept or skill. 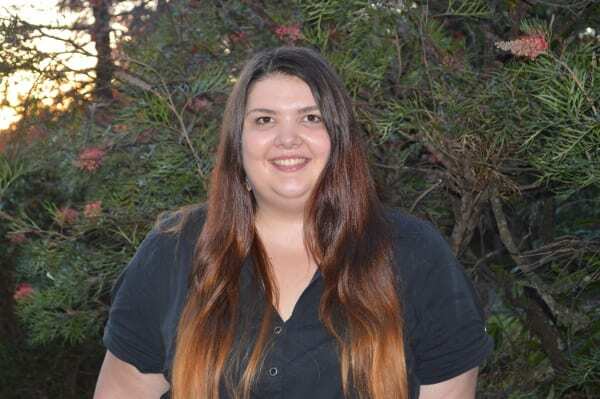 Rebecca completed Physics, Chemistry, English Advanced, Mathematics, Mathematics Extension 1 and PDHPE in the HSC and is available to tutor all of these subjects, as well as English and Mathematics in the younger years. Rebecca lives in the Emu Plains area and tutors in the Penrith, Emu Plains and Lower Mountains. Rachel Lawendy is currently undertaking her Masters of Teaching at Western Sydney University. She has a love for English and Literacy to the extent that she studied Children’s Fiction and Writing independently and plans on writing children’s fiction after completing her studies. She has worked with children since she graduated from school in both academic and sporting environments. Rachel wants children to see that learning can be a fun and exciting adventure. She understands that all children have different learning styles and aims to cater to their learning style whilst positively encouraging them and lifting their self esteem. 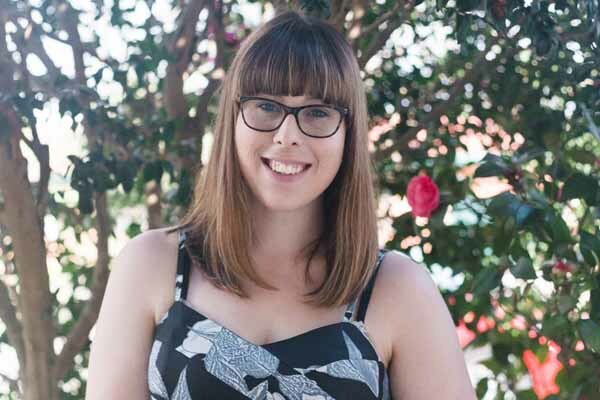 Rachel is able to tutor English/Literacy from Kindergarten to Year 10 and Mathematics from Kindergarten to Year 3 to Year 6 in the Greater Penrith and St Marys areas. Mary Baky completed her Bachelor of Education (Primary) at the Australian Catholic University. She has had long standing passion to work with children to improve their Literacy and Mathematics skills in order to help them flourish in everyday life, now and in the future. She believes that tutoring should be relevant to the child’s life for engagement for learning and to challenge their abilities. Mary has always been an avid reader and particularly loves children’s literature which she uses to not only teach Literacy but also in Mathematics, Science, History and more. Mary has had experience working with a variety of children with special learning needs and backgrounds in whole class, small group and individual settings. 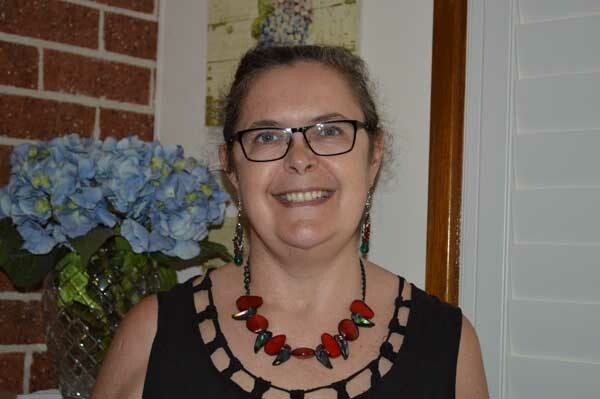 Mary lives in the Mount Druitt area and is available to tutor in the Mount Druitt, St Marys and greater Penrith regions. 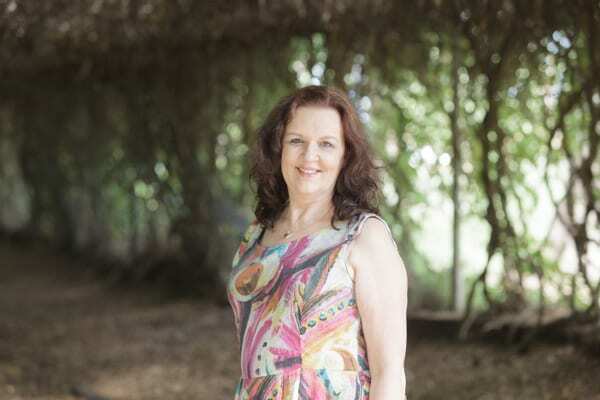 Jacqueline Gilchrist’s teaching career began with a Graduate Diploma in Expressive Therapies where she developed creative workshops in painting and drawing and art therapy sessions focusing on expressing emotions through art. Her love for teaching in these areas, and with children in particular, led her to complete a Masters Degree in Teaching and a career firstly in the Early Childhood area and finally as Primary Teacher which she has been pursuing for the past three years. Jacqueline brings a wealth of other experiences through her creative work in art and film making and also in the finance and the medical industries. These experiences have shaped her career as a teacher to be adaptable, intuitive, understanding toward the different interests and talents of her students and to have arrived at a career that she loves. Jacqueline lives in the Lower Mountains and tutors in the Mountains and Penrith areas. Rebecca Dalton has an Honours Degree in Chemistry, a Diploma in Education (Secondary Science) and a PhD in Chemistry Education. She has taught HSC Chemistry, and has extensive experience teaching first-year Chemistry laboratory classes and tutorials at Western Sydney University. Rebecca has a thorough understanding of the difficulties students experience learning Chemistry. She uses a range of strategies to develop and deepen understanding. Rebecca has also taught high school Mathematics. She is currently a stay-at-home Mum to her three beautiful children, and enjoys helping them develop their numeracy, literacy, science and artistic skills. Rebecca is available to tutor HSC Chemistry. Rebecca tutors in the Greater Penrith area and the Lower Blue Mountains. Samia is currently studying a Bachelor of Arts (majoring in English Literature and History) as well as a Bachelor of Global Studies. She attended St Marys Senior High School where she was taught by great teachers who inspired her to take on education as a career where she employs a particular interest for Shakespearean studies, essay writing and History. She has a strong social conscience and is passionate about various causes which have led to her participation in several mock parliaments and social good summits. She is an avid fundraiser for various social justice causes which has helped her to develop a strong work ethic, the ability to manage her time effectively and to maintain a positive and mature attitude toward work responsibilities and requirements. 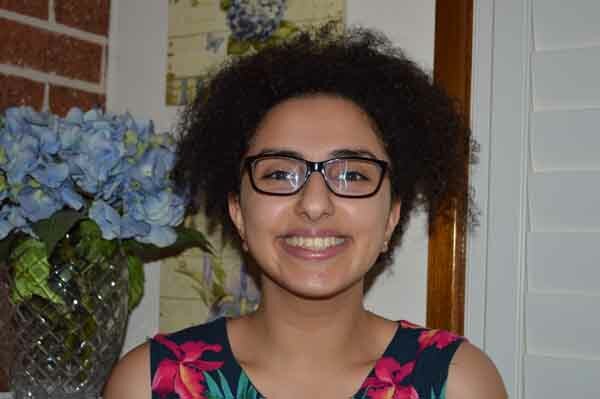 Samia has enjoyed informal tutoring roles throughout her high school years in the areas of English, History, French and Art Theory. In recent time she has successfully tutored students in essay wrting – an area of learning that gives her great pleasure. Samia lives in the Lower Mountains and tutors in the Mountains and Penrith areas. seeks to pass her passion for learning on to her students. Nicole lives in the Hawkesbury area and teaches in the Hawkesbury and Mid Mountains. 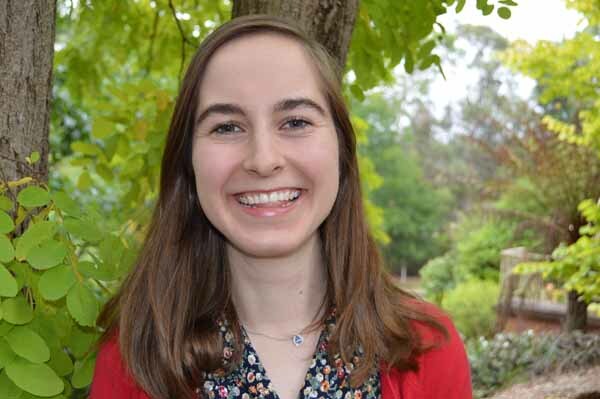 Megan Bromley currently studies a Bachelor of Primary Education at the University of Notre Dame Australia. 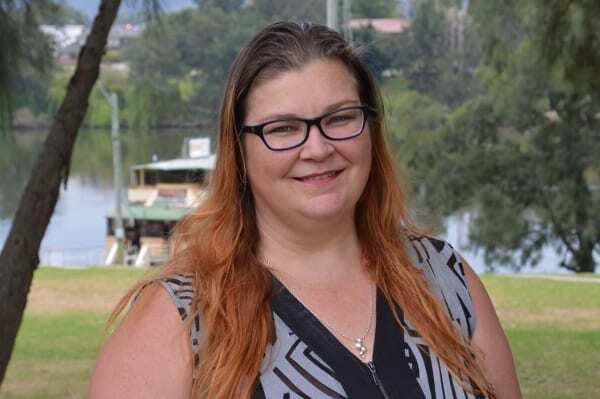 She was encouraged by her teachers at school to become a teacher due to involvement with young children at school (Penrith Anglican College) and her eagerness to see them grow and succeed. Megan works hard to exceed her goals at university and brings this quality into her role as a tutor. She has a gentle nature but also understands that consistent hard work and a love for learning are necessary to build confidence in her students. Megan has a particular interest in Martial Arts which has participated in since 2008. She currently teacher children aged from four to ten years of age and also competed at the Martial Arts World Championships in Korea for Haidong Gumbo in 2015 and 2017. Megan lives in Glenmore park and available to teach throughout the Penrith area, Lower Mountains and surround St Marys suburbs. Tim completed a Bachelors of Applied Finance at Macquarie University and graduated in 2014. He has a strong background in Economics and Mathematicsvia his studies and also while currently working in the finance field in a full time capacity. Tim believes the role of a tutor is to break a topic into simple concepts that are easy to understand, and to guide the student to build up a more complex and full understanding from these basic concepts. He has a passion for working with numbers and solving problems and therefore instils purpose and enjoyment toward his subject areas when working with his students. Tim live in the Penrith area and tutors in Penrith and the Lower Mountains. Carol Gooch’s experience as an educator spans over many years and she holds a Bachelor of Science with Honours. She has worked as a university faculty tutor in the areas of Mathematics and Computer Science and has additionally taught a number of subject areas in a variety of contexts. She is an accomplished piano teacher and music educator who runs music groups for young adults with disabilities. Carol brings maturity to her tutoring from these range of tutoring experiences. Her passion lies in sharing her gifts in Mathematics to HSC students to see them achieve their goals in this often overwhelming area of learning. Carol lives in Penrith is available to teacher in the Greater Penrith area. Samantha Millett has completed accelerated Advanced Mathematics at Blaxland High School recently with a final mark of 98/100 last year. 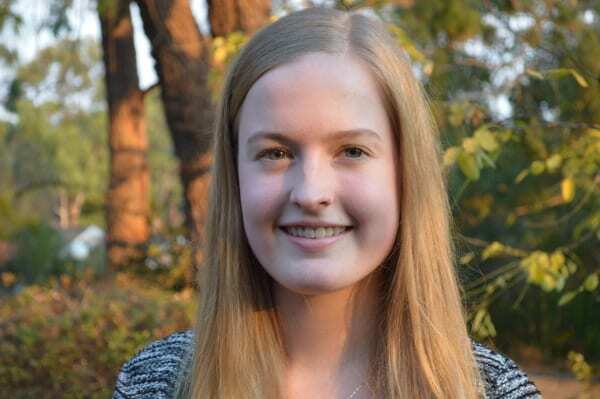 She has a genuine passion for all things Mathematical and continues to extend her success into her Extension 1 and 2 Maths in her current final HSC year. She has chosen to tutor students from Year four to HSC in Mathematics with the intention to impart not only her knowledge, but her genuine love for this learning area. 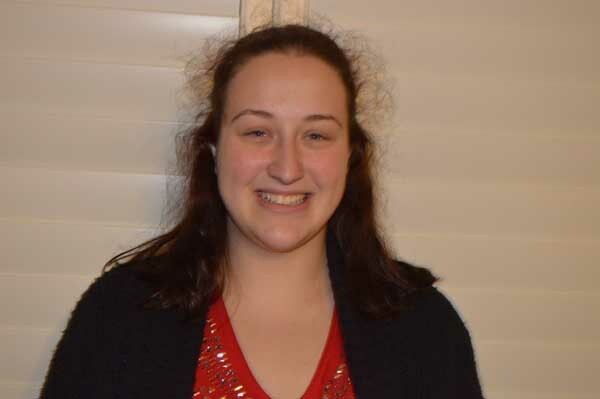 In addition, Samantha has achieved great success in Physics, Chemistry and Engineering in her senior studies and would enjoy tutoring junior students in Science. She also work voluntarily as a Youth Development instructor in the Australian Air Force Cadets which has taught her and understanding for being an effective teacher. 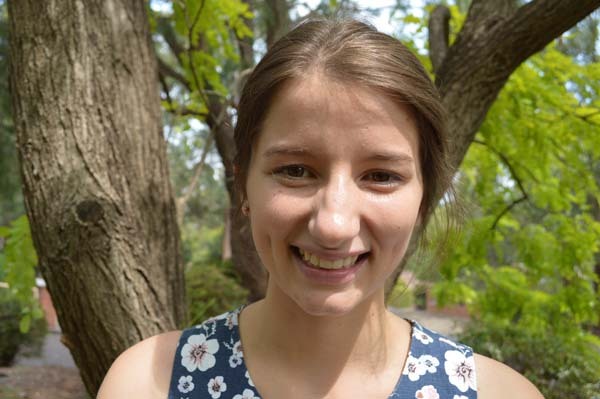 Samantha lives in the Lower Mountains and is available to tutor in Penrith, Emu Plains and the Lower Mountains. Solomon is a tutor who is undertaking an Bachelor’s of Art’s degree majoring in Archaeology and Ancient History at the University of Sydney where his objective is to be an Archaeologist. Throughout his studies, Solomon has learned to research and construct evidence based essays as well as shorter and more succinct pieces of work. Solomon is a happy and optimistic person who undertakes all tasks to the very best of his ability. He works very well as a tutor with children and young people where he seeks to build their confidence to work to the best of their ability. Solomon is able to look at and identify potential strengths and weaknesses and adapt his teaching methods to suit the individual needs of his students with. He takes pride in all of his work and enjoys assisting his students to flourish. An interesting snippet of information about Solomon is that he is the go to person for those interested to solve a standard 3 by 3 Rubrics cube – impressive. He lives in the Lower Mountains and tutors in the Penrith and Mid to Lower Mountains areas. Deborah’s Career as an educator spans over many years as a teacher in both Australia and the UK. She is a truly dedicated tutor who brings a wide range of skills to her role at Nepean Tutoring. She is a qualified Science teacher across all HSC disciplines as well as an experienced Mathematics teacher. Her role as a tutor has also provided her with substantial experience in teaching infants and primary students in both Literacy and Numeracy where she adapts her teaching strategies to the individual needs of each child. Deborah is committed to see young students learn the merits of critical thinking and to develop creative strategies to assist them to work within the realm of their own learning style. This approach ensures each of her students are given the tools to reach their potential and become confident learners. Deborah lives in the Penrith area and tutors in the great Penrith region and the Lower Mountains. 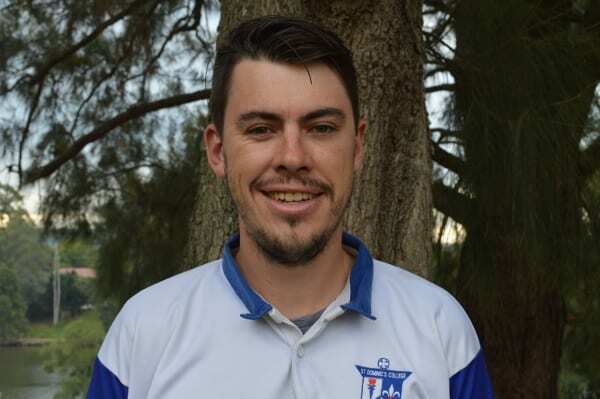 Josh has also worked as a PASS facilitator at the University of Western Sydney to help to improve outcomes for students with high fail rates. He has also worked as a private tutor for HSC Science subjects. The experiences he has gained in these roles has helped him to hone his strong verbal, interpersonal and written communication skills to construct and adapt oral, written and interactive activities and strategies according to individual students’ learning needs. This approach improves their consolidation of content as well as their problem solving and analytical skills which are essential for essay writing and English related subjects. As a tutor, he strives to be patient, understanding and empathetic to students’ various abilities, challenges, disadvantages and weaknesses by setting realistic and achievable learning goals. Josh believes that forming a positive rapport and being a good role model for his students is essential. It has always brought him great satisfaction to offer his skills, knowledge and experience to tutor and help students improve on and overcome the challenges they face and gain a love for learning to improve their academic performance. 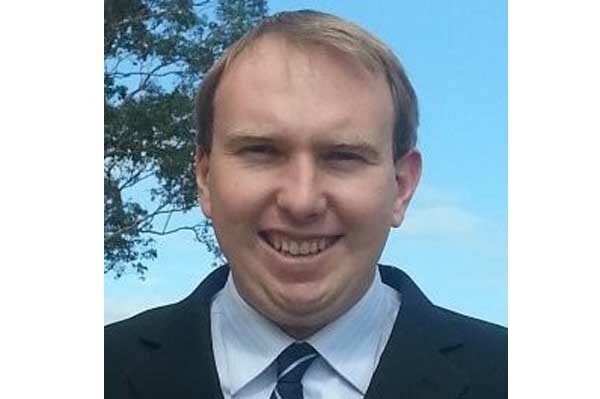 Josh lives in the Upper Blue Mountains and tutors throughout the Mountains area and the Penrith district. In Sarah’s own words “I have been teaching since I was 14 in some way or another”. 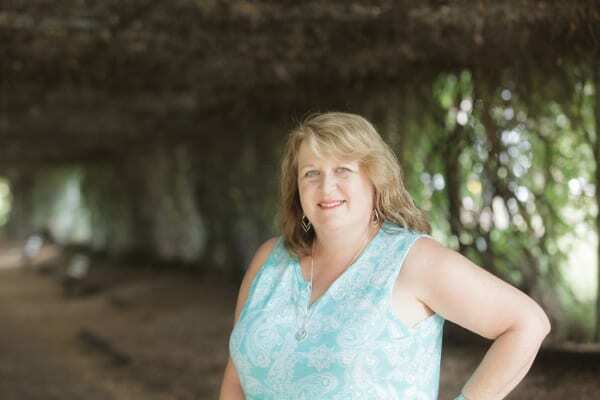 She has taught around the world from cold and wet England, in the quiet and lovely Australian Riverina, in the chilled out schools of the South Coast to the bustling and crowded Cabramatta district. However her most memorable experience as a teacher has been in rural Northern Territory, working alongside indigenous children amidst the heat, humidity, crocodiles, dingoes, and buffalo. 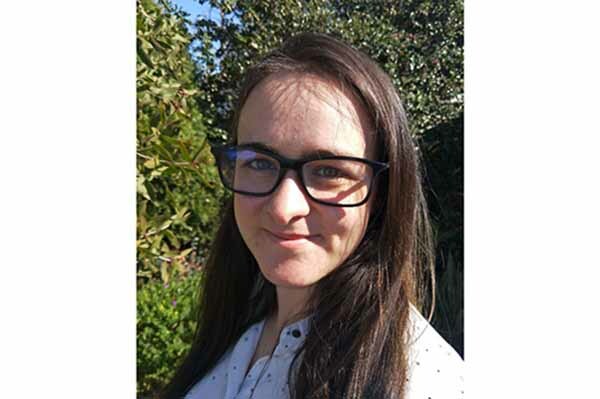 Sarah specialises in reading comprehension, writing, and primary Mathematics along with strong skills in HSC English and History which she has taught over the past seven years. She enjoys getting to know her students well and seeks ways in which she can instil confidence and an enjoyment of learning. As an avid reader as a child, Sarah believes reading is extremely important and encourages all her students to become lovers of books. Sarah lives in Jamisontown and tutors in the Greater Penrith area and Lower Mountains. 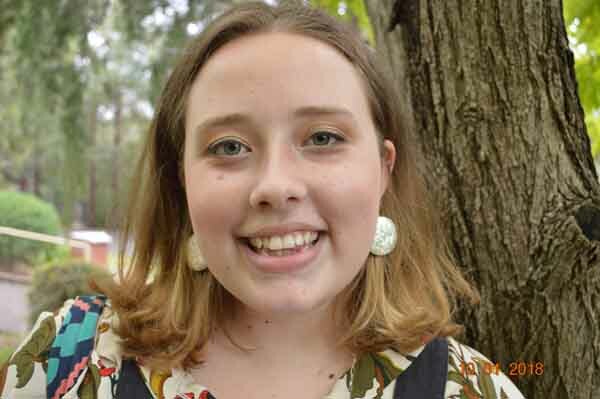 Caitlin Gooch has recently completed the International Baccalaureate and is currently studying a Bachelor of Applied Science (Speech Pathology) at the University of Sydney. She has chosen this course due to her passion for working with a variety of people, including children and young adults. This course also gives her the opportunity to develop a variety of teaching strategies as well as increase her love for helping others to grow in their learning. Caitlin has had experience tutoring in a small group environment and in a one-to-one setting. She enjoys assisting others to improve their academic ability as well as in their personal endeavours. She has an enthusiastic approach to tutoring her students where she encourages each ones to reach their potential. Caitlin tutors primary Literacy and Numeracy as well as secondary English, Mathematics and Biology, including in the HSC and IB. I grew up illustrating, playing teacher and dreaming big. After beginning an education degree at ACU while in my senior years of high school, I received a scholarship for a Bachelor of Design (Visual Communications), and thus entered a career in Graphic Design. Throughout my schooling and work, I maintained my love to educate by successfully tutoring privately across a large range of subject areas. My transition back to focus on creative teaching and to apply critical thinking skills toward learning has been a necessary overflow of my desire to develop confidence in the students I tutor . I believe in the individuality of each being, and the need to nurture and support the unique qualities we each hold. We are not all made to be the same, and we all serve a purpose that is founded in our essence. I have a passion for building the confidence and self-worth of young people, and seeing them grow. I am driven to make a difference in the lives of others and to apply myself daily to that passion. As an university qualified high school teacher, I have a strong understanding of the education system, teaching styles, student learning and school syllabus. As a former classroom teacher I understand how to engage a student, make improvements, set-up study habits, explain difficult topics and concepts, answer questions and build a working rapport. I am also an experienced tutor who has worked with a number of students with varying abilities, backgrounds, skills and knowledge. This means I can now quickly identify the priority areas and where improvement is most needed. I then work to develop the skills and knowledge of that student in those topics while still reinforcing their current classroom topics. I immensely enjoy working with students to give them greater confidence in the classroom and when doing an exam. It is extremely rewarding to see a student, who had previously struggled, achieve results they never thought they were capable of. Through one on one tutoring a student can receive individualised help and support. My own struggles as a child at school in my early years, and my determination to overcome them saw me eventually achieve high distinction results in the HSC which led to my passion to help children achieve their best and gain confidence in themselves. I live in the Penrith area and tutor in Penrith and the Hawkesbury regions. Liam Holt is a full time student who is currently completing a Bachelor of Laws with a Bachelor of Arts at Macquarie University. He has a passion for the humanities, and has a strong desire to help students feel confident and empowered with their learning. Liam hopes to be able communicate a variety of study and learning techniques which he has found useful to his students. Liam specialises in English Advanced, Legal Studies and Studies of Religion I and can also tutor Literacy for Primary Year student. Liam processes an excellent academic record which makes him a credible mentor and role model to other students. In addition he has enjoyed outstanding success with public debating by winning many awards both locally and state wide and is sought to use this skill as an adjudicator in speaking competitions across New South Wales. 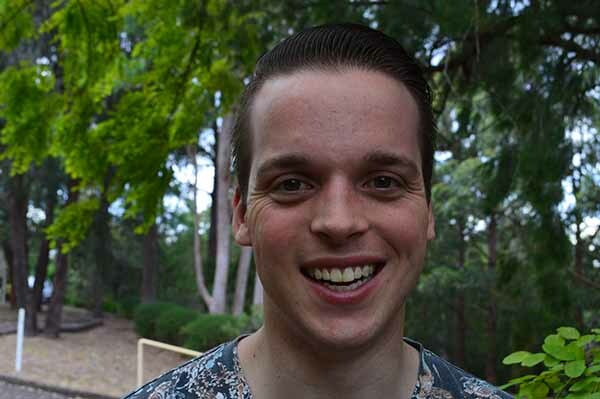 Liam lives in North Richmond and is able to tutor in the Hawkesbury, Nepean and Lower Blue Mountains regions. Krystelle comes to her role as a tutor with twenty year’s experience as an educator. She is currently working as an environmental engineer but also has a strong belief in learning as a life time pursuit and desires to impart this passion to young people in her role as a tutor. 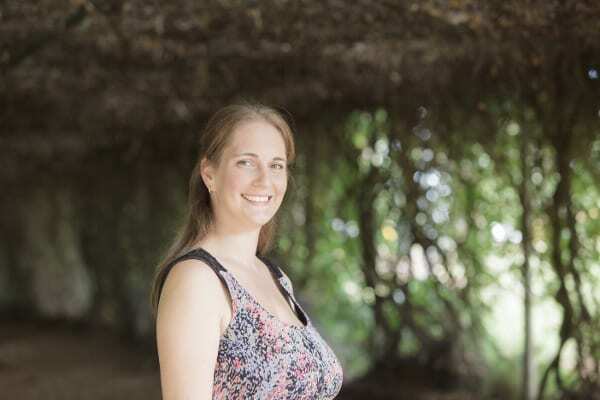 Krystelle has degrees in both Literature and Civil Engineering and can therefore adapt her teaching to meet the needs of a range of students across different subject areas. Her experience as middle year’s teacher in California, an editor for McGraw-Hill Publishing in New York as well her work as an engineer in Asia and Australia demonstrates her commitment to a strong personal teaching and learning philosophy. 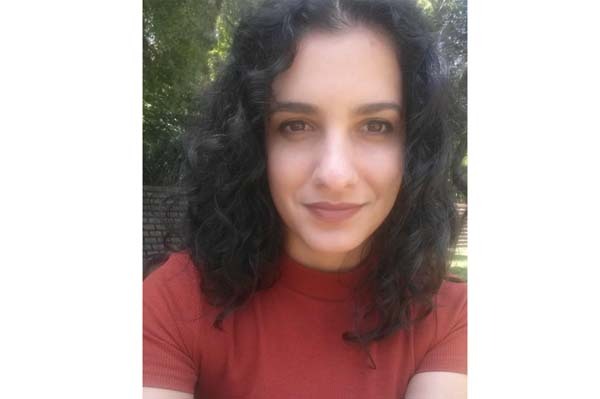 Krystelle’s teaching experience extends to Teaching English as a Second Language, English for Business, essay writing as well as a number of languages at the beginner level. Krystelle is a passionate, committed, patient, professional who is easy to get along with. She believes good communication between herself and clients isextremely valuable in her role as a tutor and understands the challenges of meeting the differing needs and learning preferences of individual students. 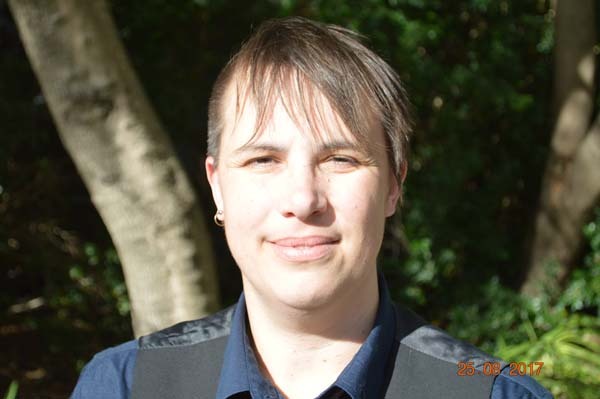 Krystelle lives in the local area and tutors in Penrith and the Lower Mountains. 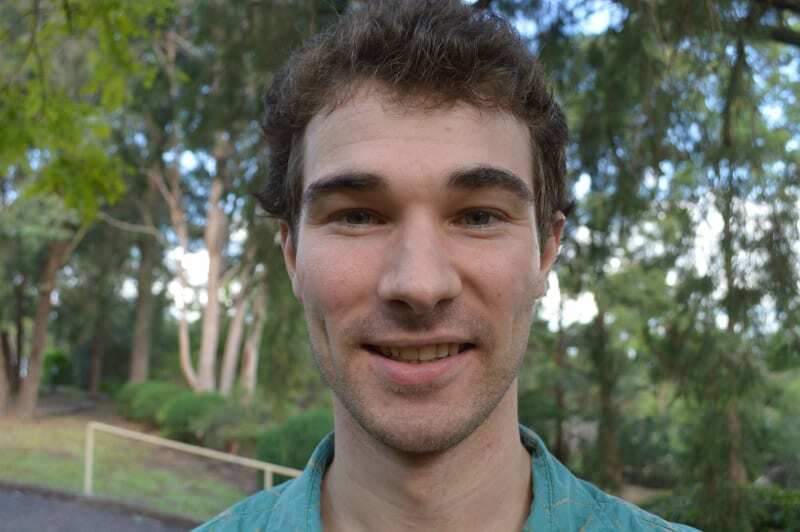 Matthew has recently finished his PhD in Mathematics at the University of Sydney, on the algebraic geometry of integrable systems. He currently teaches at the University of Sydney and UNSW, and lectured the summer stream of applications of calculus. 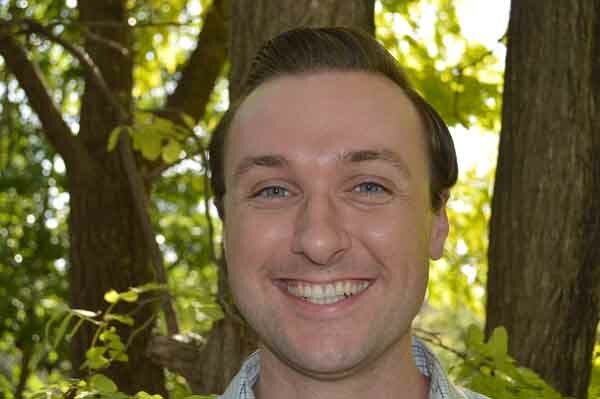 Matthew is an experienced tutor for a wide range of levels and abilities, and has been teaching Mathematics at a high school level since 2010. 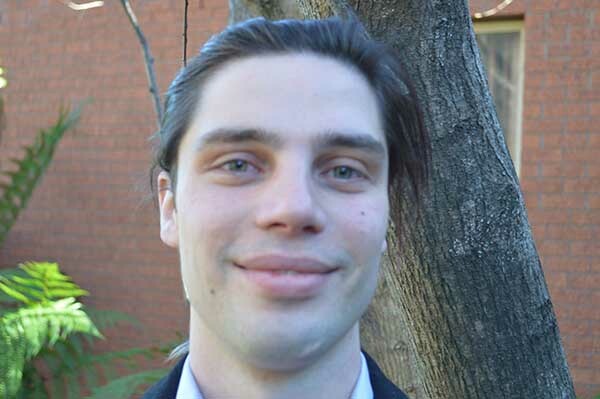 Matthew currently tutors mathematics from year 10 up to year 12 extension 2. 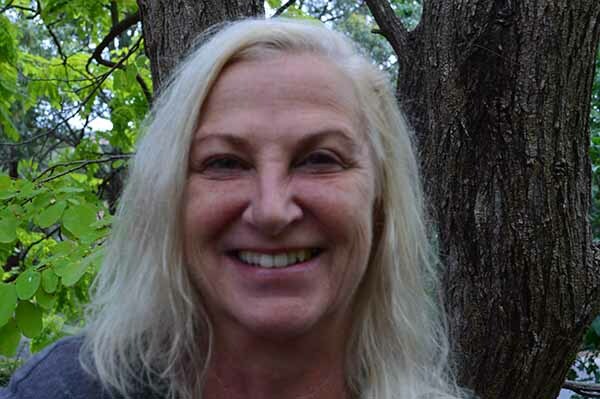 Wendy Higgins has enjoyed over thirty years teaching experience as a Secondary Visual Arts & Design & Technology teacher as well as working as an accomplished Special Education teacher in the Primary and Secondary settings. Her experience and love for teaching younger students who are struggling with Numeracy and Literacy is also a feature of her expertise. Her extensive teaching experience has always been based on establishing positive relationships with her students, diagnosing their specific needs & capabilities and pitching teaching content to meet them at their level. Wendy brings a compassionate approach towards teaching her students and understands the many challenges they can face when learning at school. She is particularly accomplished at establishing mutual trust and respect and engaging students in learning activities that meet their interests and learning styles. In Wendy’s own words ” I break the cycle of learning hopelessness and enable my students to achieve success”. 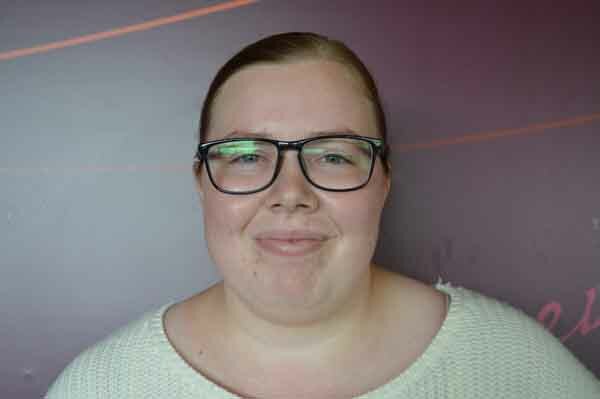 Anne is currently pursuing a Master of Education to become an English and Mathematics teacher, and hopes to one day work overseas teaching in International schools or teaching English as a foreign language. Anne holds a Bachelor of Arts from the University of Sydney, where she majored in Philosophy and Psychology and minored in English literature. Having a broad range of interests, she has been fortunate to also study Accounting and Business and has some experience working in the financial sector. Anne is an experienced tutor who specializes in English for any level, and high school Mathematics. She can tutor a variety of other subjects on request, and has taught Business Studies, Music, Drama, and more in the past. 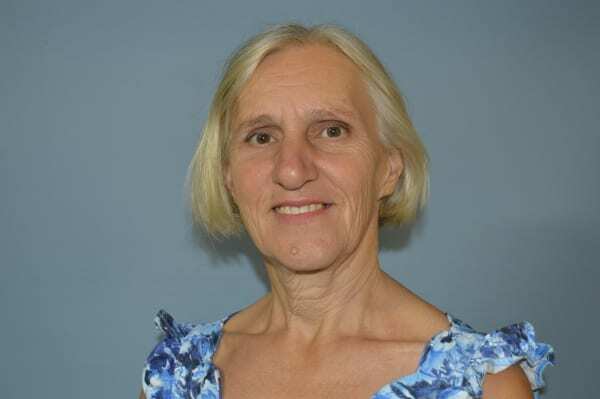 Anne has experience working with students with a broad range of ability levels, having worked with students with disabilities as well as typically developing students ages 12 – adult. She prides herself on being able to adapt her teaching style to match each students individual needs, and encourages them to progress towards their goals – whatever they may be. Regardless of ability, Anne firmly believes anyone can learn and improve their skills, and can progress towards establishing and fulfilling meaningful goals. 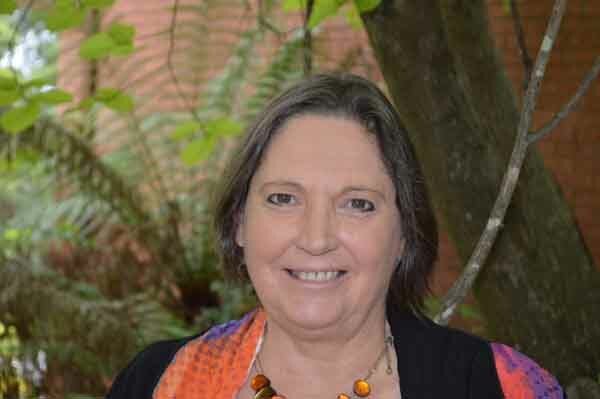 Anne tutors in the lower Blue Mountains and Penrith regions. I am a university student who is currently working towards a Bachelor of Anthropology at Western Sydney University. I have a TESOL certificate and experience in teaching English as a second language in both Vietnam and China. This experience, as well as my own personal experiences in completing the HSC, and as a student at university mean that I am capable of instructing clients of various ages and levels. My strengths are in literacy, especially in areas of grammar and essay writing. I particularly enjoy tutoring students on a one on one basis. ​This helps to build a positive rapport in order to develop confidence and independence. It allows me to learn about student’s strengths and interests, which assists ​me to understand their learning style, and how to work on areas that need the most attention. I live in the Hawkesbury area and tutor through the Hawkesbury, Penrith and Lower Mountains. Clare is currently studying a Bachelor of Education (Secondary) and Arts (History and Legal Studies) at the University of Notre Dame, Sydney. Clare has always had a passion for learning and education and wishes to assist children and young adults in their learning journeys. She achieved high grades in her HSC studies and is therefore a fine role model for students who are looking for a purpose to their studies during their school years. She strives to understand the numerous abilities of each student in order to adapt her teaching content to each student’s individuality. Clare believes each child should be nurtured through educations to achieve the best outcomes and that investing more hours in study will result in a sense of accomplishment. 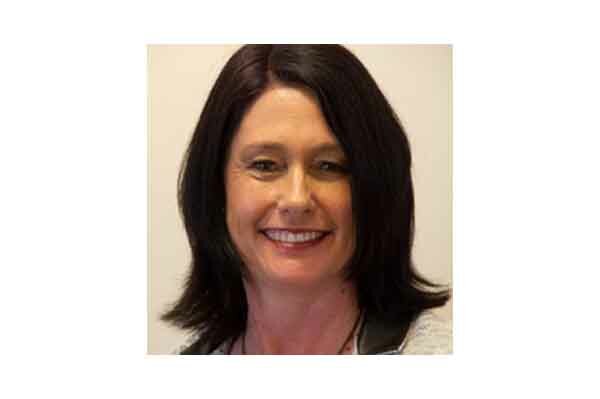 Clare lives in Emu Plains and tutors in the Penrith and Lower Mountains regions. fine role model for students who need encouragement and motivation to learn. Peter McLeod is a working screenwriter, graphic novelist, and editor. His more recent work includes an upcoming kids action adventure film, due in Australian Cinemas in 2019. 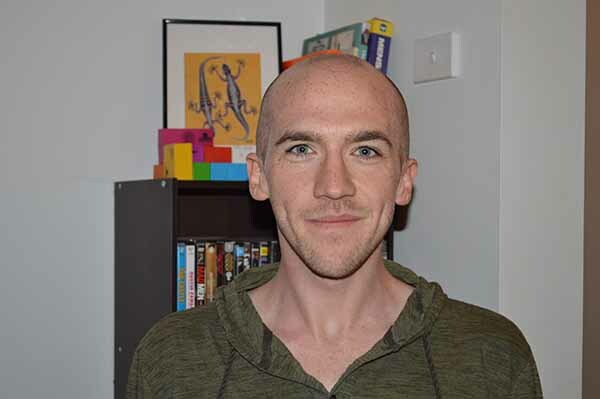 His current work ranges from writing feature films, and working as both a script consultant and editor for writers in Australia, Los Angeles, and Vancouver. He is a graduate of the University of Wollongong’s prestigious writing program with First Class Honours. After several years tutoring students, he returned and completed a post graduate certificate in TESOL. During his degree, he worked as an essay consultant and tutor for university level, HSC and primary school students. Since graduating, he splits his time between his screenwriting commitments, sharing what he’s learned with his students, and running quarterly Learning Labs with internationally best selling playwright, Timothy Daly. 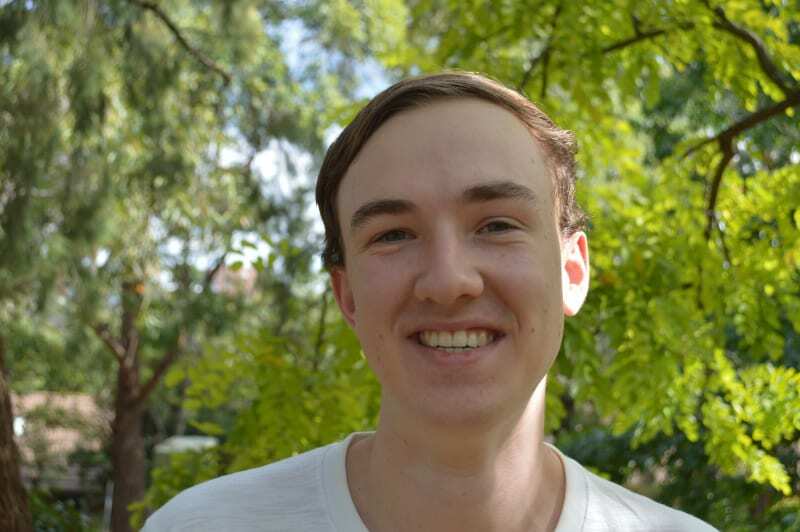 Aidan is currently a Mathematics student at the University of Sydney and holds an excellent academic record in this area of study and his previous work during his HSC years. He is an experienced tutor who has previously studied and worked in the engineering field. 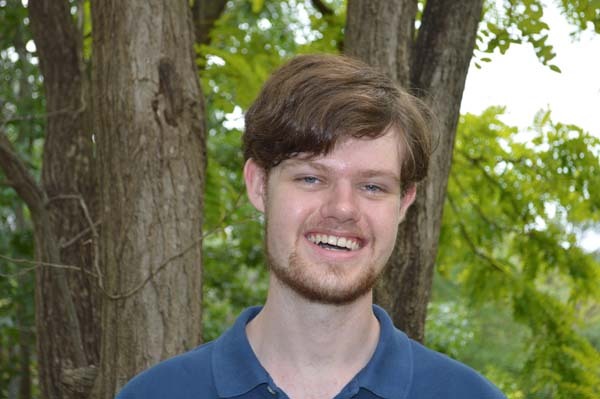 Aidan has a particular passion for teaching mathematics and enjoys sharing his knowledge with others. He believes in building strong fundamental knowledge and developing general problem-solving skills in order for students to best engage in the subject. Aiden also enjoys tutoring Physics and Engineering studies and finds that these subjects often go hand in hand with Mathematics. Aiden is flexible with his teaching and learning methods in order to ensure the individual needs of each student are catered for. 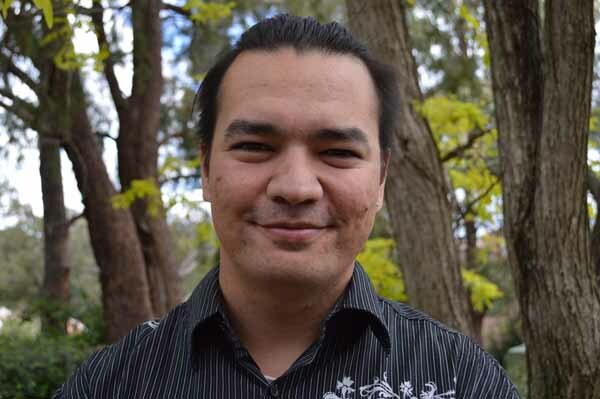 Aiden lives in the Mid Mountains and tutors in the Mountains, Penrith and Hawkesbury areas. Samantha has a goal to help children enjoy learning Literacy. She is keen to develop one-to-one learning relationships with both parents and students and believes that tutoring can assist students in achieving their goals in the classroom. She wishes to allow students to become self- directed learners and to create a fun learning environment. She knows that subjects are interrelated in the K-6 curriculum, and is trained in cross-curricular learning, as well as working on Literacy with confidence up to a year 10 level. Callum Beaton has interests across a wide variety of academic subjects and personal hobbies. He has enjoyed playing music as well as playing sports, and so has had to learn to balance these things with his schooling commitments. Excelling throughout his schooling life, Callum has a talent for understanding subject matter all across the board, which allows him to explain things in his own way to any student who needs a different perspective or style of teaching to understand something new or difficult. 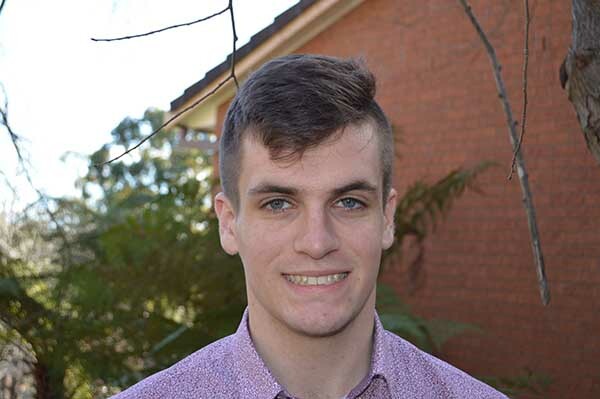 Currently undertaking his second year of Psychology at Macquarie University, Callum is eager and excited to engage with all of his students on a personal level and in helping them to keep on top of things and improve at whatever stage of learning they are. Callum lives a Kingswood and tutors in the Penrith, St Marys and Lower Mountains. Connor is a dedicated student, currently studying a Bachelor of Forensic Science (Majoring in Chemistry) at the University of Technology Sydney. Having aided his peers in their studies in both high school and university, Connor enjoys being able to support students whether they are at school or undertaking further studies. He believes that learning is a lifelong pursuit and hopes to encourage, support and aid students to achieve their best in order to enjoy their studies. Although he specialises in Chemistry and Mathematics, Connor is happy to assist with Ancient History and Drama. His work in Extension 3 English during the HSC sets him in good stead to assist students across the board in their studies of English in their senior years. Connor lives in the Lower Mountains and tutor in the Mountains and Penrith areas. 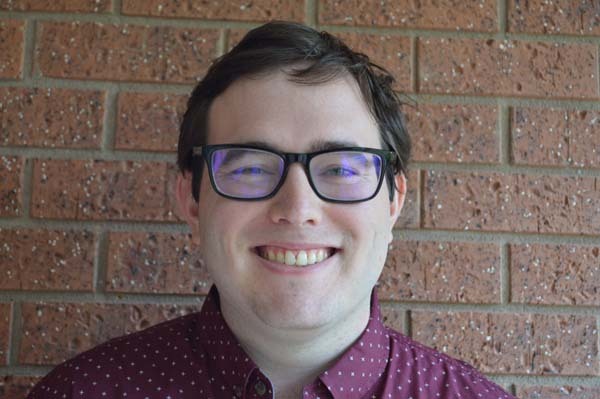 Wade is a student at Western Sydney University where he is studying primary teaching to be followed by a Masters of Teaching in 2019. He is an ambitious young man whose goal is to one day be a principal of a school where he knows he can make a difference to the lives of young people. Wade has been involved with tutoring as a result of expectations of his study to be a teacher and in a private capacity. This has bought forth a passion and desire for him to teach children so they gain the confidence required to work toward their goals. He tutors in all primary subjects, but has a particular strength in and enjoyment of Mathematics. While tutoring, Wade hopes to build on his skills and teaching strategies to meet the differing needs of children. He believes that each child is unique and enjoys the challenge of seeing them achieve their best. Wade lives in the Hawkesbury region and tutor in the Penrith and Blue Mountains. Solomon is a happy and optimistic person who strives to undertake all tasks to the very best of his ability. He works very well with children and young people and seeks encourage them to reach their academic potential. He is able to look at and identify potential strengths and weaknesses and adapt his teaching method to suit their individual needs. Solomon takes pride in all of his work and enjoys assisting others to flourish. Solomon attended St Columba’s Catholic College where he completed his Higher School certificate and received an ATAR of 86. Currently Solomon is undertaking an undergraduate Bachelor’s degree in Arts majoring in Archaeology and Ancient History at the University of Sydney where he hopes to become an Archaeologist. Throughout his studies, Solomon has learned to research and construct evidence based essays as well as shorter and more succinct pieces of work. When he is not studying or tutoring, Solomon enjoys playing the guitar and hanging out with friends. He also prides himself as a master at solving the rubrics cube puzzle and has held workshops for others who would enjoy learning how to master the 3X3 rubrics cube puzzle. Solomon lives in the mid mountains and tutors throughout the mountains and Penrith areas. Ibrahim graduated with an honors degree in electrical engineering, sub-majoring in biomedical engineering from the University of Western Sydney. Along with an extensive educational background in different fields of endeavour, he has worked for over 8 years within the electrical engineering industry. With a focused and a driven approach to all he accomplishes, he works at the high level of competency as a tutor. Ibrahim places a significant emphasis on understanding the learning styles and capabilities of his students and as such, is a valued member of the Nepean Tutorlng team. His commitment to focus on building confidence in those he tutors while providing effective methods of understanding his role as a mentor and role model ensures Ibrahim fits perfectly into the Nepean Tutoring philosophy of best practice tutoring. Phillip graduated from St Dominics College and completed his Secondary studies at Xavier college before embarking on his current degree at the University of Notre Dame where he is studying a Bachelor of Secondary Education. He tutors in a wide variety of subject areas and brings a sensitive understanding to the individual needs of students with specific learning difficulties. He has volunteered for the Edmund Rice Camps since 2011 which drives his passion for working with students of different ability levels and to encourage and support them with their school based learning. He is a flexible young man who is able to adapt to different teaching and learning situations in an effort to best support each of his students. Phillip is an accomplished sportsman who has played soccer for 20 years and also enjoys Rugby, Martial Arts and has completed a beginner course in professional wrestling. 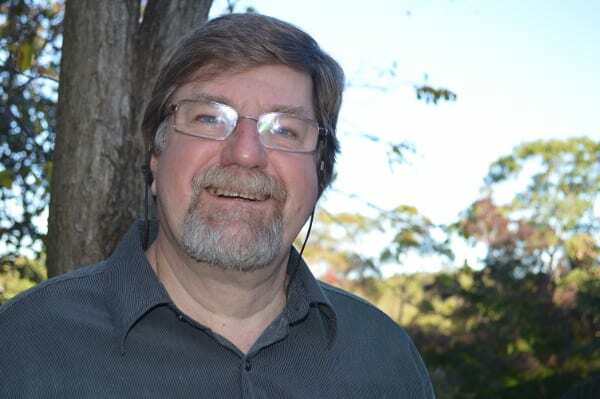 Phillip lives in the Lower Mountains and tutors throughout the Mountains, the Greater Penrith area as well as St Marys and Mount Druitt. Wade was a talented student of St Dominic’s College in the graduating year of 2018. He achieved excellent results which placed him in the top percentile whilst being full of enthusiasm and determination to reach his academic goals. As a Communications Prefect at St Dominic’s College Wade formed a balanced connection with many students as he aimed to give them a forum to utilise his skills as a mentor. His time at St Dominic’s College focussed heavily on creative arts subjects, therefore he can utilise his creative drive to develop engaging lessons which are unique to the individual student. As he begins tutoring, fresh out of Secondary School, he can relate to the students and inspire them to succeed in their respective studies. Wade is a reliable and flexible tutor with an impressive attendance record throughout his secondary schooling, only having one day off in in seven years whilst balancing his academic, co-curricular activities, and social life. Currently, Wade is studying at The University of Sydney majoring in Applied Medical Science and Immunology and Pathology. He lives in the Lower Mountains and tutors in the Lower to Mid Mountains Mountains and Greater Penrith District.